Do you need an experienced, reliable Melbourne commercial plumber who knows the A-Z of commercial plumbing? And if you are seeking someone from the Melbourne, VIC area, then All Type Plumbing Melbourne VIC would be your best bet. Typically what does commercial plumbing melbourne entail or what does a commercial plumber do? Well, plumbing systems in a commercial building are a lot more intricate and complicated because of the sheer size of the building necessitates that. And everything is large-scale, be it water supply systems or even drainage and waste removal systems. So if it means installation of sinks, pipes, taps, fixtures, drains, vents, drainage pipes, toilets and more, and on a larger basis, then we will take care of it and we know exactly what really comes under the commercial plumbing purview and we have been engaged in many commercial plumbing melbourne projects over time. Who typically qualifies as an industrial plumber or what exactly is industrial plumbing? Well, melbourne industrial plumbing entails all the planning and installation of the plumbing systems, which includes the pipes, taps, and fixtures in a large industrial building. It also includes planning and installation of the drain systems, sewers, pipes, vents and other related equipments that is specific to the building and which of course varies as per the size and requirement. 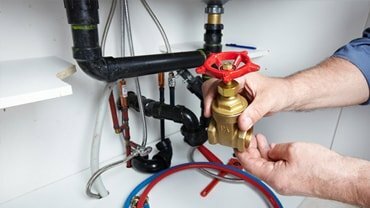 And for plumbing work that has to be done at such a large-scale level, it needs expertise and the knowhow and that comes purely with experience and in our over 37 years of experience, All Type Plumbing VIC has engaged in a range of melbourne industrial plumbing and drainage services. 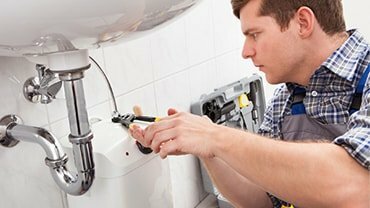 And industrial plumbing services melbourne are constant and it does not just end with mere installation, it needs maintenance, repairs and also addressing the many problems that will arise due to clogged or blocked drains, or pipes not working, or any sort of plumbing or drainage breakdown. And for all this and more, we are good for it.